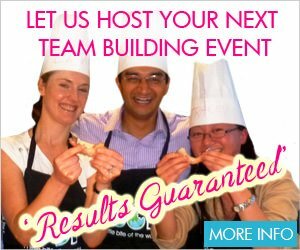 Are you looking for Moroccan Cooking Classes in Sydney? Look no further! VictorsFood offers a Moroccan cooking class where you can tantalise your senses in this presentation and hands-on cooking class feast of modern Moroccan cuisine. You’ll be surprised at what you discover from this exotic northern African country. A list of our current Moroccan cooking classes is below. You can also check our proposed classes and express your interest for future classes. Food from Morocco, “the place where the sun sets”. Tantalise your senses in this presentation and hands-on cooking class feast of modern Moroccan cuisine. You’ll be surprised at what you discover from this exotic northern African country. Imagine tajine that melts in your mouth, harissa for zest, and more... Make your own preserved lemons and learn the art of making chermoula. Be transported to the spice bazaar, and inspired with food from “the place where the sun sets”.